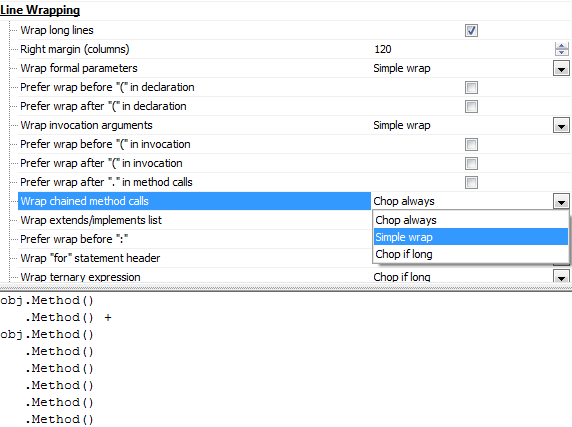 Say hello to ReSharper 7.1 EAP! Starting today, you can download early builds of the new ReSharper update. In this release, we’re trying to focus on little things: removing minor but irritating flaws as well as introducing small improvements that go a long way towards better usability. The everlasting battle for smooth performance and light memory usage is also in full force. Anyway, read on to learn what we have in store as of EAP launch. We know that code formatting is a very sensitive set of IDE functionality — to the extent of donating kingdoms in return for fixing formatting issues. Seeing a set of these issues that have accumulated over the years, we decided it was time for action. Second, facing the region controversy, Code Cleanup doesn’t introduce regions by default anymore. Too many people consider regions a code smell, and we had to do something about it. In other formatting news, code formatter now indents with tabs only if using spaces is not allowed in a specific coding standard; there’s now a new options page which actually makes formatting XML doc comments a feasible task; and if you’re an ASP.NET developer, look for a new option to always use Kernighan & Ritchie style brace layout in markup pages regardless of whatever style you’re using in code-behind. There are even more formatting and cleanup fixes — here’s the full list in case you’re interested. Following insightful feedback from John Papa and other long-time users, we’ve revised the experience of working with Inspection Results and Errors in Solution tool windows, primarily in order to streamline sharing ReSharper inspections with non-ReSharper users (amazing but there are some) as well as creating work items based on inspection results. This is handy if you’re working in a team environment and assigning work items based on ReSharper inspections to different developers: copy an issue or a group of issues, submit the copy to an issue tracker, and there you go into the wonderful world of delegation! ReSharper 7.1 takes advantage of Caller Info attributes when it implements INotifyPropertyChanged in .NET Framework 4.5 projects. Needless to say, if your project is targeting .NET Framework 4.0 or below, ReSharper still uses the traditional syntax. There’s more in store regarding INPC support in ReSharper 7.1, so stay tuned for a separate blog post. We’ve received complaints stating that we were taking advantage of the Preview tab in Visual Studio 2012 in more cases than it made sense. In 7.1, all contextual (such as Go to Declaration or Go to Implementation) and context-insensitive (Go to File or Go to Symbol) navigation actions are reverted to open files in standard text editor tabs. The Preview tab is still used to open files that you’re selecting via Enter from tool windows such as Find Results. Do you think this is a better way to use the Preview tab? Please let us know! Change Signature now works correctly with default parameter values and handles usages of named arguments just fine. Other fixes cover Extract/Inline Method, Rename, Extract Superclass, Introduce Variable, Pull Members Up and quite a few more refactorings — here’s the full list of fixes. A couple of code analysis false positives are now gone, and extension methods should now be resolved without extra manipulations with ReSharper caches. 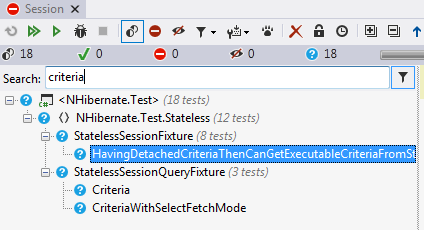 For example, VB.NET quick-fixes for WinRT have been added to pair those available for C#; VB.NET inspections can finally be suppressed with comments; IntelliSense has been fixed for enums and LINQ-to-SQL joins. On top of that, as mentioned above, Extract Class refactoring is now functional in VB.NET code. ReSharper now consents with the exotic case of wrapping asp:placeholders with styles in ASP.NET markup files. ASP.NET MVC developers should be happier as ReSharper 7.1 handles cases where file names of views are not derived from action names and resolves relative view paths much better. For details on more web dev fixes, see this list. These traditionally cover all kinds of technologies but most importantly SharePoint, ASP.NET MVC and resource files. On another note, if you’re a fan of typing in web.config files, this should now be a much smoother task. More fixes to Optimize References related to removing necessary references in projects referencing WCF services and Castle Windsor. ReSharper has grown friendlier to SVN-indexed PDBs: from now on, when you’re using ReSharper navigation during debugging, ReSharper will fetch SVN-indexed PDBs correctly. Exception reporting doesn’t any longer expose paths from reporters’ machines. This was previously a valid privacy concern which is now removed. You can now disable more ReSharper inspections with comments. First of all, as mentioned above, this action now works in VB.NET code. In addition, it also works in HTML and XML code, and a specific case of suppressing “Convert to auto-property with private setter” is now functional, too. If you’ve read through to this point, you just owe it to yourself to download a ReSharper 7.1 EAP build. Questions? Bug reports or improvement requests? We’re all listening. This entry was posted in How-To's and tagged EAP, ReSharper, ReSharper 7. Bookmark the permalink. I like the way Preview Tab is used currently. At least by default I want things like Go To Definition/Declaration or find results shown in Preview Tab. ALT+Click or Alt+Enter for normal tab as suggested in the issue would be fine. But changing everything to normal tabs all of a sudden? It doesn’t seem convenient for me at all. An option to “//ReSharper disable All” and “//ReSharper enable All” would be definitely awesome. Ctrl+Shift+Alt+8 to disable code analysis in the current file? Thanks for your opinion! We’ve just recently received this comment as well, so as it stands now, 1:1. Looking for more input from EAP users. @luis, alternatively if you want to disable reaharper from all the project , not only the single file, you could open command window ( ctrl + w+ a) and type Resharper_suspend, and Resharper_resume to enable. Is there SDK planned for the EAP builds? This is not exactly true. ReSharper_suspend switches off ReSharper in the current solution and in any solutions that you open from there on. 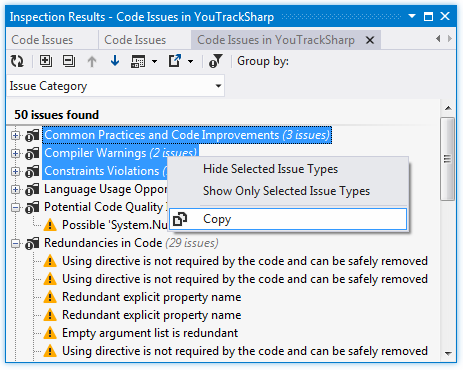 In addition, suspending ReSharper is an overkill if you only want to turn off code analysis in a particular solution (this isn’t flexible on a per-project basis unfortunately): to do that, you can go to ReSharper > Options > Code Inspection > Settings and make sure that “Enable code analysis” is not selected. SDK isn’t ready at this point but yes, it’s planned. Matt should know the details soon I guess. The preview tab changes are nice, but this is one of those cases where I honestly believe it should be configurable in Options with the ability to quickly override that behavior as needed. Much like Julien, 80-90% of the time I would rather files open in normal tabs. However, there are occasions where I just want to peek at the referenced class/file, and using the Preview tab would be ideal. I’m in favor of a modifier key that instructs R# to use the alternate behavior (Alt seems appropriate). @Jura Gorohovsky and @arjuns thanks for your suggestions, but it’s not exactly what I want. I’ll try to be more clear about what I’m after. I don’t want to permanently disable a particular or all Resharper warnings in one solution or file, I just want it to not show in one particular section of code. @Luis, use the [UsedImplicitly] attribute instead for your case and you’re done. If I navigate to a type by Ctrl+clicking, or Navigate To Parent, or clicking the gutter icons — will that open in the preview tab, or in a real tab? I’d expect the preview tab for that sort of navigation, but it sounds like those will be real tabs now. (I’ll have to download 7.1 when I get back to the office tomorrow.) Other than that, I think the changes sound great. Here’s a suggestion, though: what if you could right-click on the preview tab and see a “recently opened in preview tab” list? (Obviously this wouldn’t include tabs that had been converted to real tabs — just ones that had been replaced in the preview tab because something else was opening there.) If ReSharper could add that feature to the IDE, then I think a lot of the pain around the Preview tab might just go away; R# could just use the Preview tab and everything would be fine. Thanks for clarifying your use case. I’d appreciate if you create a feature request. BTW as a workaround, you can convert your class to a partial class and move the fields that you’d like ReSharper to leave as is to the second part so that they’re the only members there. As soon as you have, Ctrl+Shift+Alt+8 in the new type part, and you’re done. @Joe Ctrl+clicking and using context-sensitive navigation opens stuff in a new regular text editor tab as of now. Way too soon. Let’s get back to this as soon as a few thousands of .NET shops start using the language in commercial development. Is there a keyboard shortcut to get to the options page? I have to laugh at that; but each to their own. But JetBrains, please be careful to follow your current practice of making features optional, rather than removing them due to a few ‘opinionated developers’. But good job nonetheless, thank you for everything. All of the 7.1 EAP installers need some form of signing along the lines of the official installer and previous EAP 6 and 7 installers, at the minute I get a lovely “The system administrator has set policies to prevent this installation” when logged in as a local administrator. As I said above this does not happen on the official build of 7.0.1 or any previous official or EAP installers, please can this be fixed ASAP! Ananlyze errors in Solution works bad with Windows Phone 8 SDK. SomeInternalLibrary is referenced by SomeLibrary which is refernced by MyProject. Class SomeContext defined in SomeLibrary implements SomeInternalLibrary ::ISomeContext is used to hide SomeInternalLibrary from MyProject as it simply wraps SomeLibrary::Namespace::ISomeContext to forward all calls for SomeInternalLibrary::ISomeContext to it. Consider me another vote for restoring the native Visual Studio approach to using the preview tab. Go To Definition and similar commands should use the preview tab, as they do in VS by default. Please add official xunit support to the test runner. It’s a pain to configure it with the add-in. Please, open classes by Ctrl+N as “Keep open” instead of “Preview mode” in VS2012. It’s very annoying to press on little glyph in tab or press on space to make changes and transfer tab from “Preview mode” to “Keep open”. Please, make Floating tabs wells always stay on top of the main window option in VS 2012 optional again. When working with several monitors it makes impossible to place VS windows to all monitors and then overlap one with browser for instance. Because click on VS window in other monitor will cause VS overlap browser again. I agree with Andrii – PLEASE give us the ability to turn off “always on top” floating tab wells. This is an extreme annoyance and makes multi-monitor work nigh useless. Since your scenarios apparently require switching the “always on top” option off, you can work around ReSharper behavior by mounting this settings file to your ReSharper settings (ReSharper | Manage Options | Add Layer) Please note that this may lead to incorrect behavior of ReSharper functionality in floating windows. My vote for ‘preview’ tabs. Found it so useful, it helps me to keep number of opened files as much as possible. After installing 7.1, was a big surprise for why ‘preview’ tabs are no longer used in such scenarios like Ctrl+T, Go To Declaration, Go To Implementation and so on. It is easy to move tab from ‘preview’ to ‘keep open’ – an hot key Ctrl-Alt-Home, or just start making changes in that file. Think the best solution will be to have possibility to changes ‘preview’ tabs behavior. Until that, think will back to 7.0…. Are you experiencing this signing problem with the official release of ReSharper 7.1? That’s the only source where the settings file is available. Does it also not work with plain http? It seems to be a problem within our company – maybe they block dropbox or so. I just downloaded the file with my mobile phone – everything works like a charm! I get the same problem at work (not tried at home).